You know that post I did some time back about how winter was coming? Well, I hadn’t seen nothin’ yet. Somehow, winter always surprises me with its savageness. 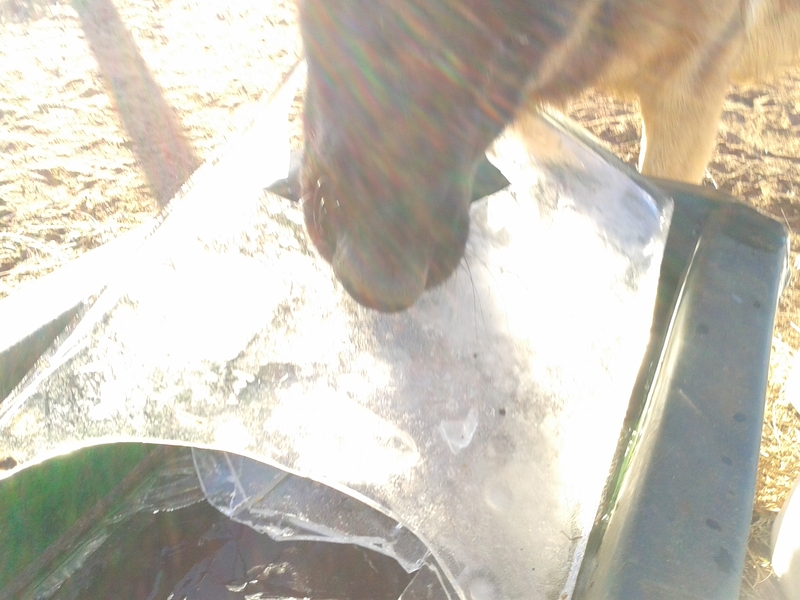 And as much as I welcome the frost (kills the bugs, you see) part of me does long for the days when you can actually, you know, rinse out the horses’ food bins after morning feed instead of just shake the hosepipe ineffectually and watch bits of ice fall out. Apart from having grubby bins, the horses are quite oblivious to the cold; even Magic has grown triple-extra-fluffy (yuck!) and clipped Arwen is quite happy snuggled up in her turnout rug at night, or Magic’s windbreaker in the daytime if it’s really cold. (I personally wouldn’t mind a turnout rug myself; nothing penetrates that thing). The only living things (apart from the humans) that were adversely affected turned out to be my oats. They never came up. Oh well, better luck next season. There is still quite a lot of grass in the pasture, albeit dead, so I have let Skye and Magic back in to have it as standing hay. It took quite a long time to convince them that the Domain of Evil Sprinklers has been purged of its danger, with even the usually sensible Skye snorting and galloping at the mere memory of the demonic irrigation implements, but hunger overcame fear and they are now happily stuffing their silly faces. Arwen had a good hardworking week. After her show, I planned to give her just one day off, but when the Mutterer saw her he told me to give her the rest of the week. She wasn’t sick, showing no symptoms, didn’t have anything physically wrong with her and didn’t seem depressed; there was just something slightly off, perhaps just some tiredness, which the ever-perceptive Mutterer noticed at once and which I completely failed to pick up. Whatever it was, she was 100% again by Monday and as such went straight to work. Mission: Get Arwen Into A Frame has started, and I’m playing with different snaffles to see if she gets lighter in the hand on something other than her loose-ring. I have had her in a thicker eggbutt this week and I’m still not quite sure if I like it. She seems to be putting her head down a bit, but was softer in my hands when we hacked out. Her jaw is also a little more busy – she used to keep her mouth very still in the loose-ring but seems to champ the eggbutt a bit more. I still want to try her in a D-ring and French link and see how that goes. I have also incorporated a weekly or bi-weekly hack into her regimen, including work over varied terrain, a bit of jumping over solid stuff (still have to get to that, but we’re working on it), hill work and galloping. This is for fitness and variety and also good for the soul. Our hack on Friday was a bit wild in the 10-degree weather but a kilometre or so of brisk cantering settled her a bit and then another kilometre or so settled her even more, followed by a few repetitions of slowly cantering up my favourite hill and then trotting back down. The last time I rewarded her obedience by allowing her a few steps of free walk up the hill, then picking up the reins and letting her run. Man, is that horse awesome to gallop. Buck as she may in a canter when she’s upset, Arwen is a dead reliable galloper. I can push her for as much speed as I want and still have her completely adjustable and under control. We went up the hill at a hair-raising pace with me asking for more and more and getting it instantly and Arwen just snapping out her legs to their full length. She was loving it, too, in Arwen’s own way of enjoying things; calmly revelling in her own strength and obedience. She came straight back to a walk when I asked and walked home on the buckle, which I was very happy with. The hack seems to have done her canter a world of good. Her canter had degenerated into something of a mess, with a loss of rhythm and impulsion and an excess of flailing and scrambling. Work helped, but it was still a bit runny, with the forelegs doing the work and the hindlegs sort of floundering along after. After our hack I’ve felt a noticeable improvement in the engagement of her hindquarters and even control of her entire body; whether running up and down hills made her realise that using her bottom is more comfortable, or the gallop stretched out some muscles that needed stretching, I won’t know. 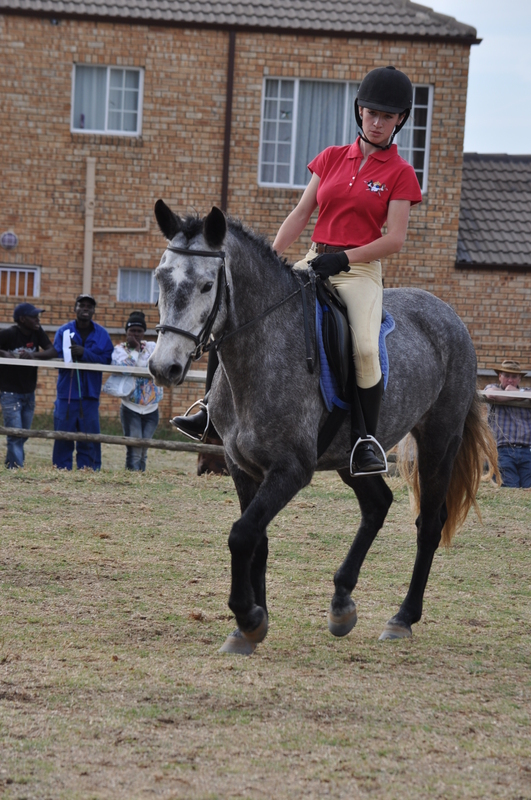 We jumped today and there is no sign of the reluctance and stopping that we had at the show. 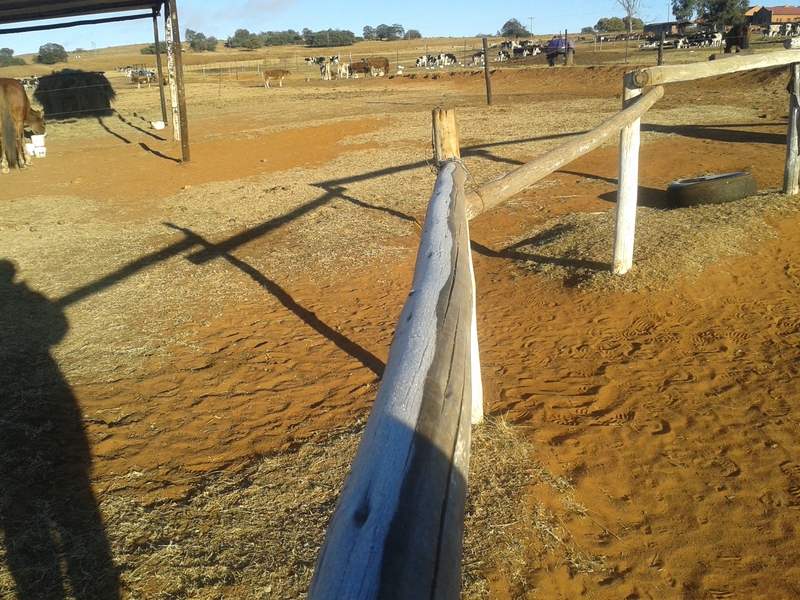 She did refuse a couple of times, but it was the first time I had used a placing pole across a vertical, and with the vertical at 90cm the placing pole was about 1.50m so when she drifted right she was faced with a jump of A-grade height and (reasonably understandably) refused. After a few attempts she figured out that all would be well if she just jumped in the middle and thereafter did so most sensibly. The drifting is still a problem but has improved a little. It is quite severe with the pair of us ending up almost on the right upright, but it has not developed into running out; it seems to be a bad habit that just crept up on me until it was this bad. I would wonder if it’s me pulling her right without thinking about it or something like that, but none of the other horses I jump do it, in fact Reed and Magic both jump very straight. Either way, we’ll figure it out. 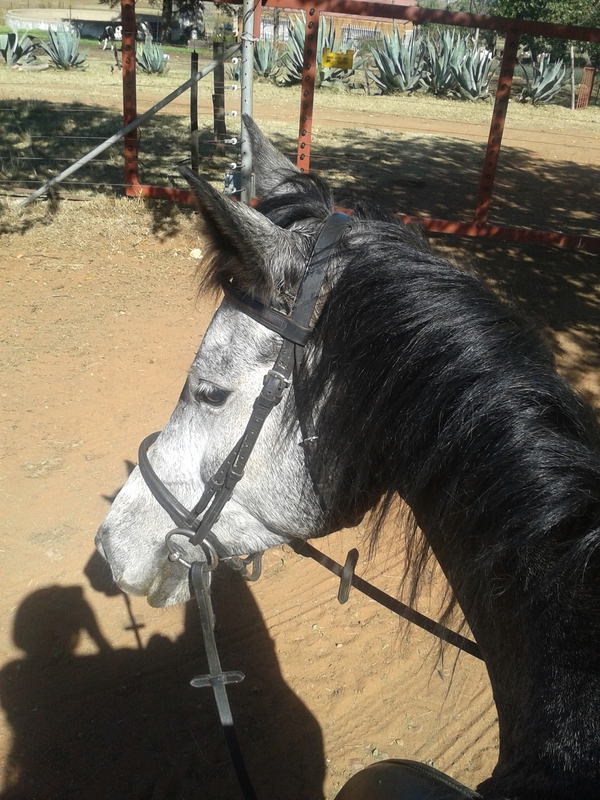 Right now, I’ll leave the worrying for later and enjoy the quest for excellence on my beautiful grey mare. Praise the Lord for good horses. I was thinking that winter had just ended and then I realized that you’re ithe other hemisphere. I can just see Arwen in full gallop — and enjoying it. There’s just something fully wonderful about it. It reminds me of a quote from the movie Chariots of Fire where Eric Liddell says, “I believe God made me for a purpose, but He also made me fast. And when I run I feel His pleasure.” I love that movie! That is a beautiful quote from Chariots of Fire. I’d better get around to watching it!